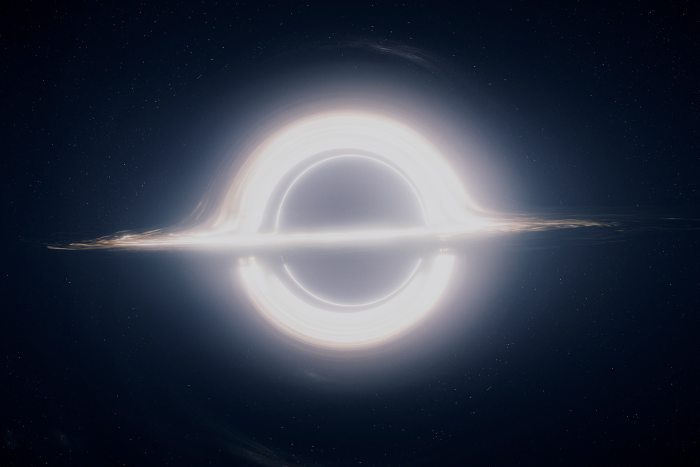 Home /These are the ways Hollywood imagined a black hole would look. So who got closest? 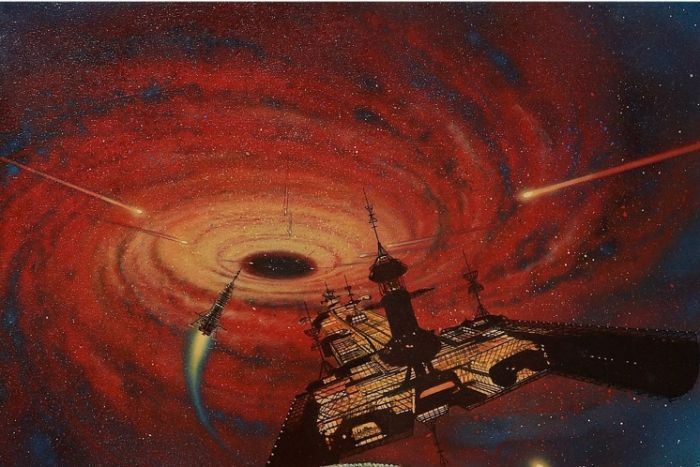 These are the ways Hollywood imagined a black hole would look. So who got closest? 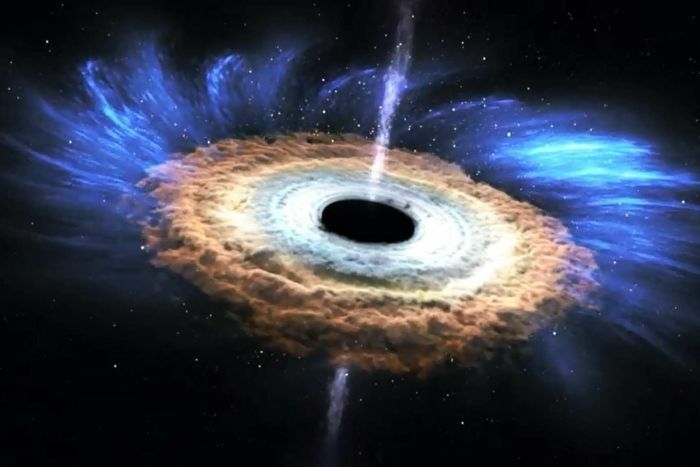 Over the years everyone from sci-fi filmmakers to NASA itself have tried to visualise what a black hole looked like. Well, now we know for sure. 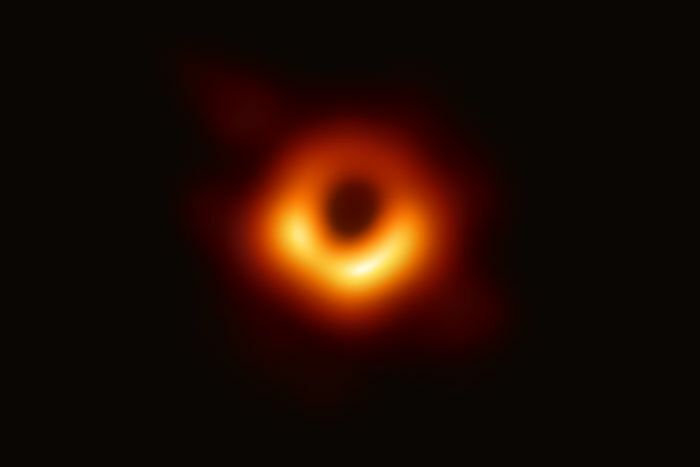 Scientists this week revealed they had photographed the event horizon of a black hole for the first time, sending science (and science fiction) fans into a spin. “It’s a big day for everyone,” astrophysicist Alan Duffy said. “This is the unimaginable, the impossible photograph. So armed with this newfound image, let’s take a look through all the ways we’ve tried to visualise this epic occurrence and see who came closest — and who was wildly ambitious and forgot the rules of physics. First, it’s worth noting that all those artist impressions we’ve used to illustrate black hole stories aren’t necessarily wrong. 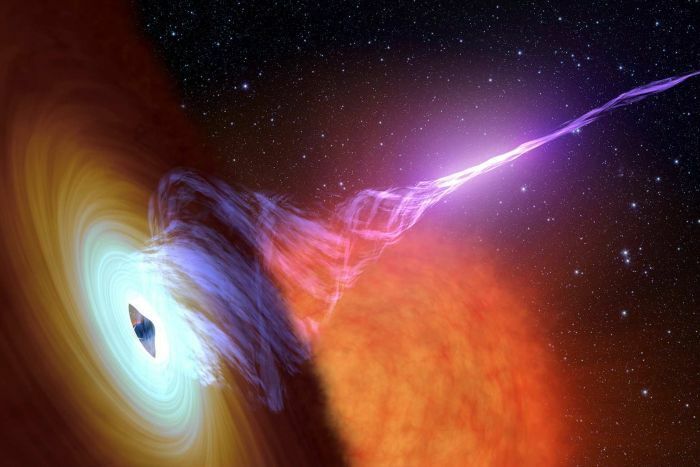 In many instances they’re showing different aspects of what’s happening in a black hole. Things we can’t photograph ourselves — yet! NASA has been prolific with these, and we love them for it. Some of the impressions look pretty close to what came through this week — albeit with a bit more artistic flair. Where it gets a little wobbly is when Hollywood gets involved. Following the success of Star Wars in 1977, film studios jumped on the idea of space as the next frontier for box office success. Cue the 1979 Disney flick The Black Hole, which warned of an “inexorable force in the cosmos … the most mysterious and awesome point in the universe”. We were pretty obsessed with space in the ’70s … and have been ever since. If that sounds a little dramatic, then things haven’t really calmed down since. In 2009 Star Trek went full sci-fi with a plot that revolved around mysterious “red matter” that explodes and creates an immediate black hole. Star Trek does a lot of good stuff with space, so let’s just roll with it. In fairness, they didn’t even worry about the science and just went straight to the fiction. Then in 2014, along came the blockbuster Interstellar. “For a lot of people that is where they got their black hole education,” Dr Duffy said. Matthew McConaughey really put his back into the Interstellar black hole scene. It actually attempted to ground a bit of its story in science, and even brought in theoretical physicist and Nobel laureate Kip Thorne as a consultant. Some of the more mind-bending visualisations in that one theoretically stack up, with Hollywood splashing some cash around to crunch real data to come up with the black hole visualisation. Still, the movie couldn’t quite help itself towards the end. We see our hero Matthew McConaughey blast straight into a black hole, with a lot of grunting and groaning as the “gravitational pull” hits him. His spaceship lights on fire, bright light streams into his eyes, and he finds himself back in time in his own home. Suffice to say, that’s not how it would work (well, we assume). But the gold star for drama must surely go to TV show The Flash, which valiantly tried to pepper some science speak through a dramatic finale in which a black hole opens up and localises directly over a city. The Flash may not be totally accurate, but it sure is entertaining. That in itself feels like a stretch. For comparison, the black hole photographed this week is about seven billion times the mass of the sun, and about 100 billion kilometres wide. OK, it was a “supermassive” black hole — the definition of huge. 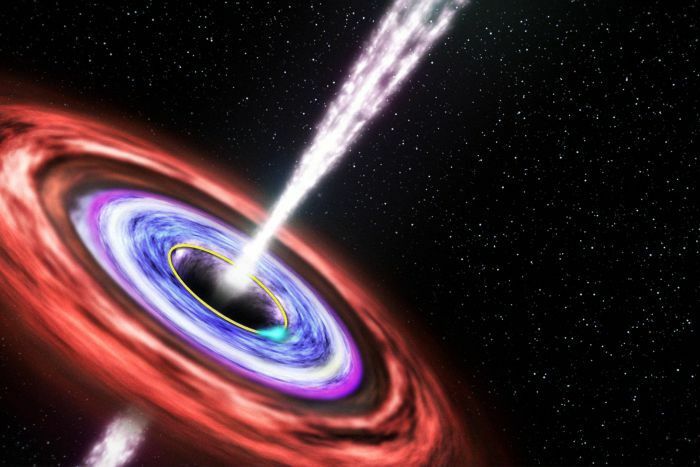 And astronomers have detected stellar mass black holes (that is, black holes with 10 to 100 times the mass of our Sun) with event horizons measuring about 10 kilometres in diameter. Could The Flash actually be onto something? But, in The Flash, cars get sucked up into the black hole in the same way tornadoes are often depicted, and a woman screams but manages to hold on to an office door as the wind whips around her. “Brilliant! He’s contained the singularity by adding to its angular momentum,” his sidekicks cheer. We don’t want to spoil the episode, suffice to say he saves the day. But what actually happens when things get “sucked in” to a black hole? “We don’t know,” said Dr Duffy. “Physically they do go into the black hole, [but] they get crushed into ever-smaller regions, ever closer to the black hole. As for what that would actually look like, we’ll just have to wonder for now. And be thankful we have the first real image of an event horizon — even if it doesn’t include sparkling lights or blasts of purple fire.